Serving the confections industry for more than a quarter century. Gorman was formed and incorporated in 1978 by Howard and Christine Gorman, husband and wife. Howard and Chris were a part of the candy industry for twenty-five years, having continued the legacy that began with Howard’s father, Howard Gorman, Sr. 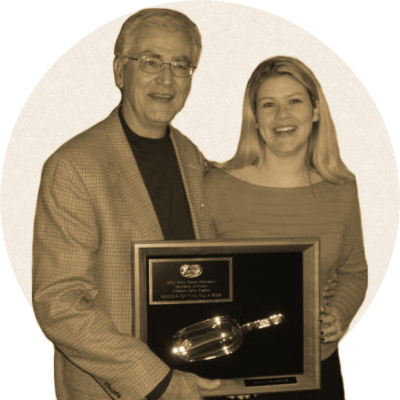 In 2004, Howard and Chris retired and passed their brokerage business on to us, the Gregg Family. We had the privilege of working with Howard and Chris for more than six years. During that time, we observed first hand what it takes to make a brokerage company thrive and succeed. Their wisdom and insight was invaluable to us as we learned to run our business with integrity and commitment to our customers’ needs. We are very fortunate to be involved in a business that we enjoy. We are grateful that Howard and Chris had so much confidence in our abilities, trusting us to carry on the Gorman reputation of excellence. Gorman Confections is a specialty candy brokerage honored to represent some of the finest quality manufacturers of gourmet confections, packaging and equipment on the market today. We are also honored to count as our customers many of the leaders in numerous classes of trade including Specialty Retail, Mass Market Retail, Distribution, Export, Basket Companies and many more. Copyright © 2018 Gorman Confections Brokerage. All Rights Reserved.